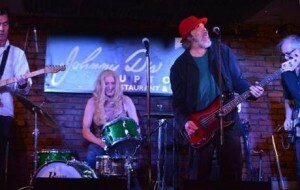 CAPE COD – Considering the shortage of venues on Cape Cod for rock and roll, there’s a good chance that people off Cape will discover the Catbirds before people on Cape. 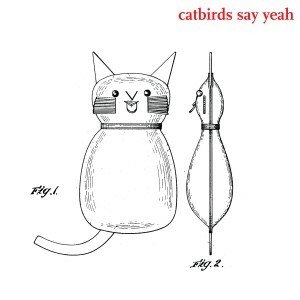 The Catbirds, whose first full-length recording, “Catbirds Say Yeah,” came out on Tuesday, are Rikki Bates (drums), Dinty Child (mandocello, guitar, accordion), Chandler Travis (bass) and Steve Wood (guitar). Juggling several bands between them, members of the Catbirds are all familiar faces in the Cape Cod and Boston music scene. Guitarist Steve Wood credits Travis for starting the Catbirds, but Travis is quick to point out that he is not the frontman. All four musicians take turns at the microphone. Travis is a prolific songwriter, working in the styles of his four bands (Incredible Casuals, Chandler Travis Philharmonic, Chandler Travis Three-O, and the Catbirds). For Travis, it’s the songwriting that spawns the bands, not the other way around. The Incredible Casuals, which garnered a cult following on the Cape and beyond, is made up of Travis, Bates, Aaron Spade and Johnny Spampinato. Last year’s sharp drop in summertime appearances raised a cry of alarm among their many fans, followed by rumors of the band’s breakup. Travis dispels that rumor. “We’re playing less now because we all have other bands,” he explains. Furthermore, while the crowds that show up to hear them may be happy with a rundown of their greatest hits, kicking up the same old sand doesn’t sit well with Travis. Travis is not one to burn bridges when something isn’t working. What doesn’t work now, may work down the road. 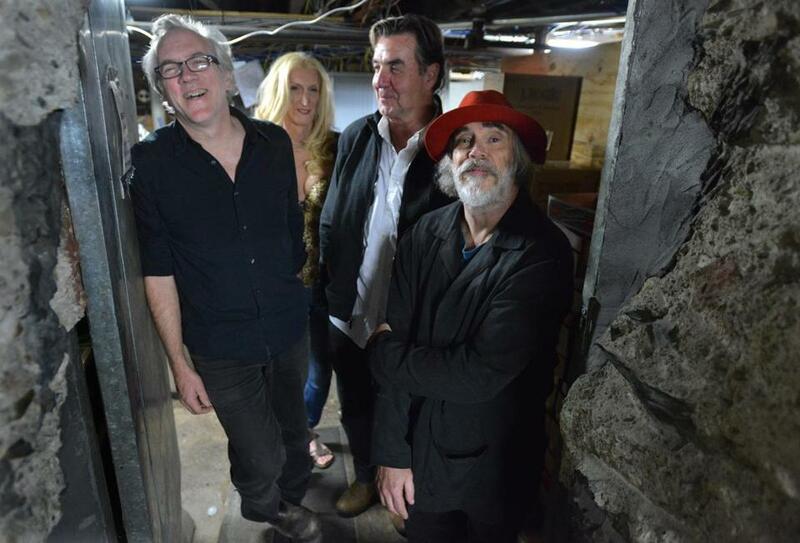 The Casuals are playing several gigs this summer, and Steve Shook frequently comes out of guitar retirement to sit in with one of Travis’ bands. The Catbirds are further proof that Travis will find a way to work with the musicians he admires. Upcoming Catbirds shows are at the Beachcomber in Wellfleet, Knitting Factory in Brooklyn and the Bearsville Theater in Woodstock.